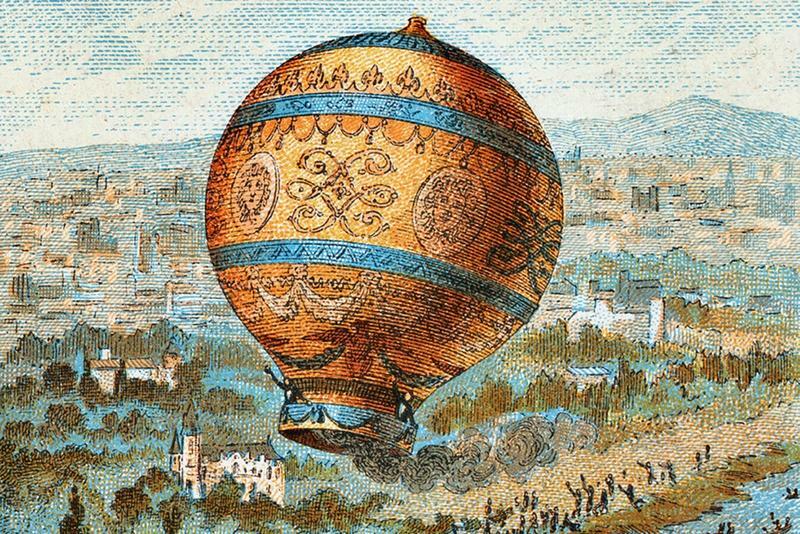 Today, hot air balloons are not an uncommon sight in the sky, but prior to September 19, 1783, no one had ever seen a hot air balloon. 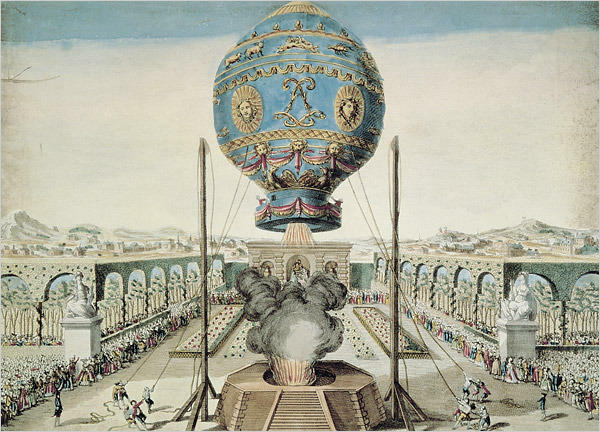 It took the ingenuity of the French to develop the concept of hot air balloons into a mode of air travel, paving the way for other inventions that would allow humans to soar with the birds. By the 1700s, it was common knowledge that hot air rises, but no one thought to harness this until two French brothers in the paper-making business figured out a way to trap the rising hot air. 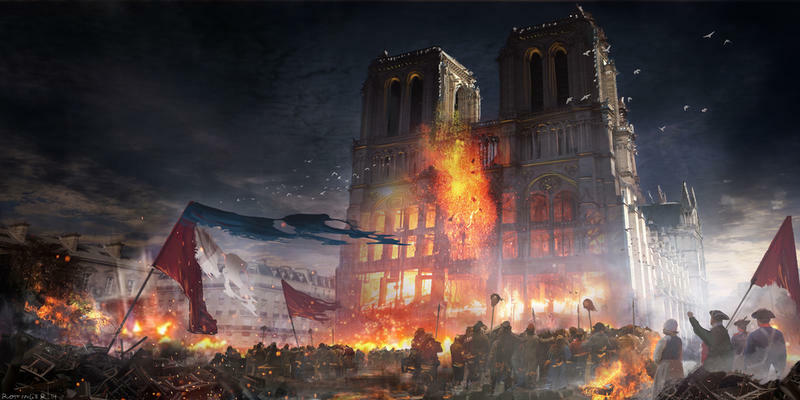 The brothers, Joseph-Michael and Jacques-Etienne Montgolfier, had observed how paper bags rise above a fire and theorized that it could also work on a larger scale. 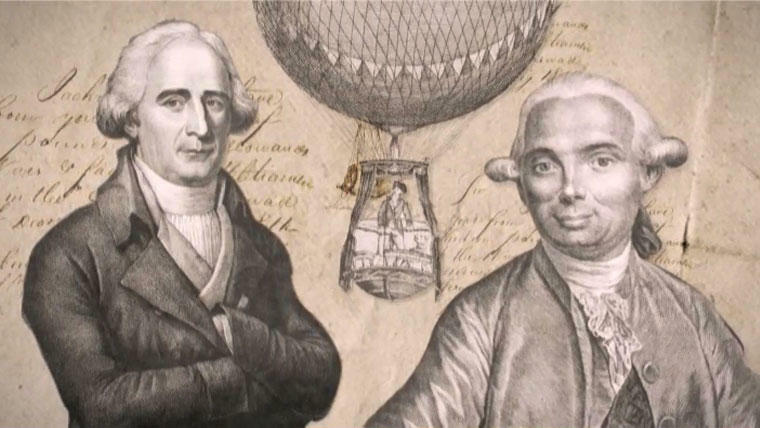 They set about making the world’s first hot air balloon, constructed of both paper and silk. In June of 1783, they took their balloon to the marketplace where there was sure to be plenty of spectators. Their launch was a success. 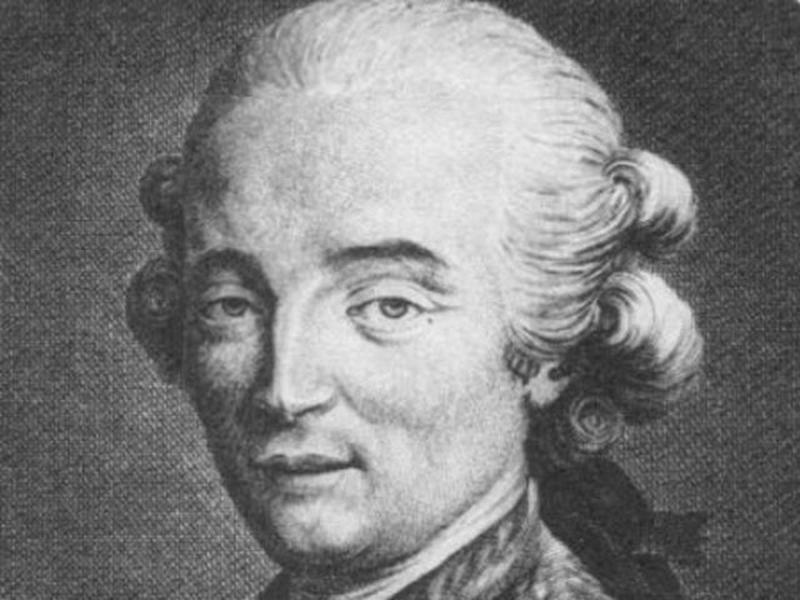 The Montgolfier brother’s unmanned balloon filled with heated air rose into the sky. According to reports from the time, the balloon reached a height of more than 6,000 feet and, over the course of about ten minutes, traveled about a mile away. The people were abuzz about this wonderful flying balloon and the Montgolfier brothers made plans for an even bigger demonstration…for the king! The Montgolfier brothers’ next balloon launch demonstration, they knew, needed to be bigger and better. 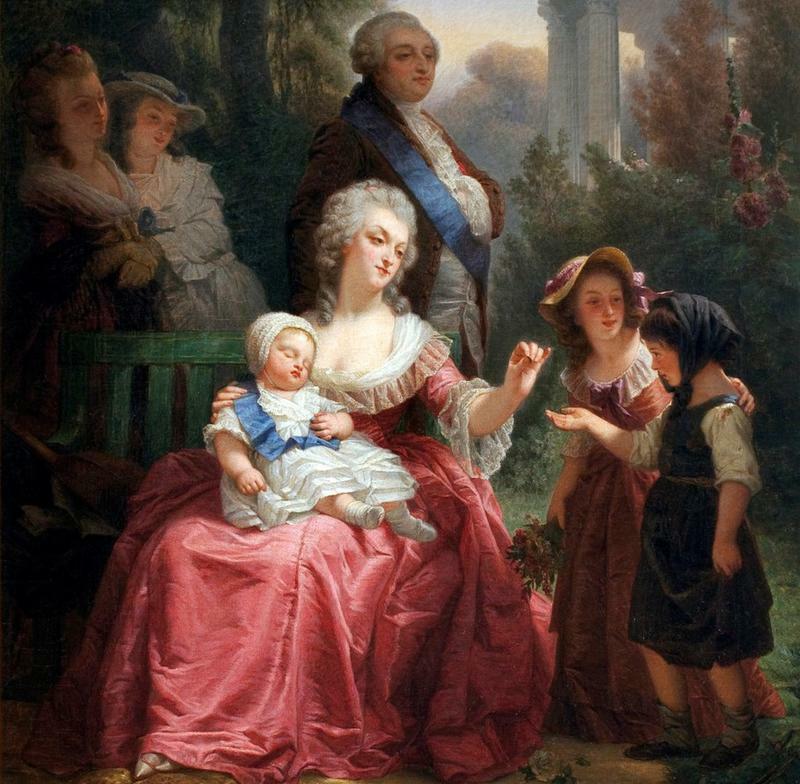 After all, King Louis XVI, Marie Antoinette, and numerous other dignitaries would be watching. 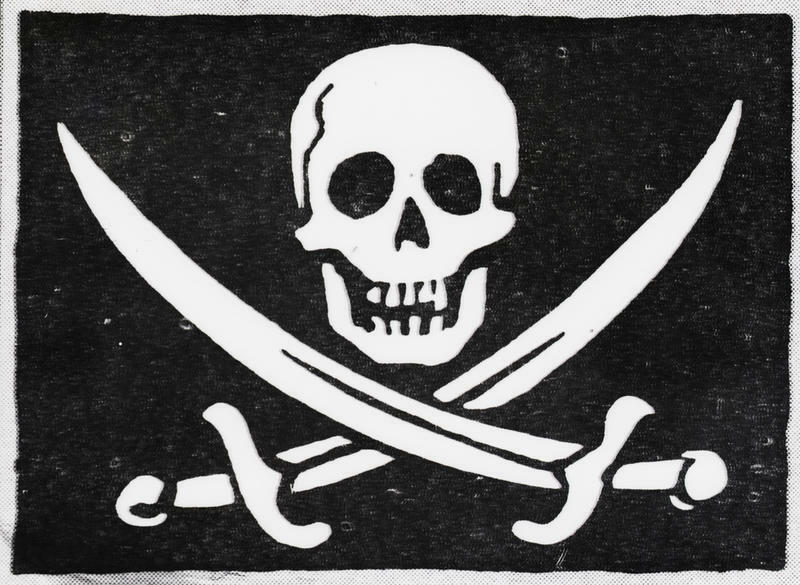 The Montgolfiers enlisted the help of a wallpaper maker, Jean-Baptiste Reveillion. The brothers built a 30-foot balloon using fabric coated with alum to make it fire-proof. Reveillion adorned the exterior of the balloon with ornate, gold symbols and designs, meant to impress the King. Scientists at the time did not know how exposure to high altitudes would impact humans and other living creatures. 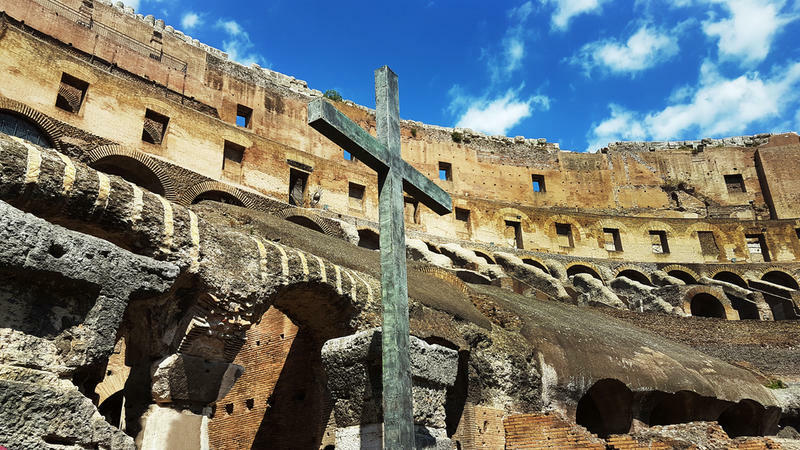 There was speculation that the high altitudes would be deadly. 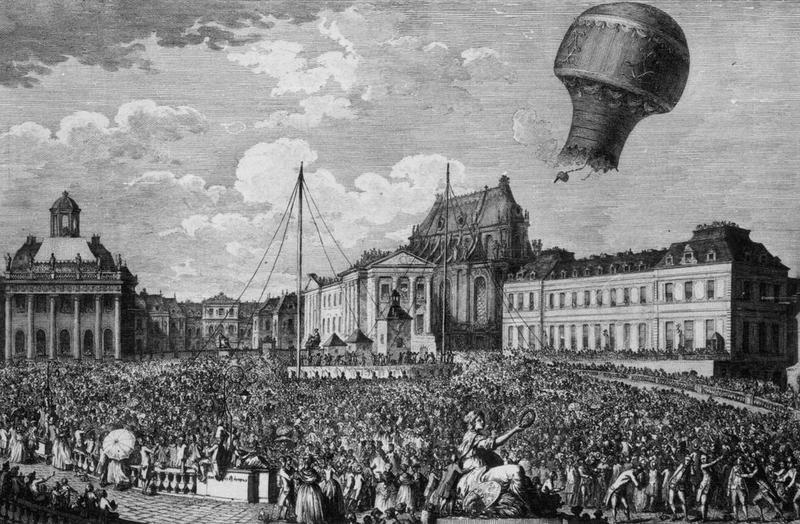 King Louis XVI offered a prisoner to be the first hot air balloon passenger…a human guinea pig…but the Montgolfiers declined the King’s kind offer. They opted instead for three passengers, a duck, a rooster, and a sheep. They had scientific reasons behind their choices. The duck, they theorized, was equipped to handle the high altitudes because he could fly. The rooster, like a bird, may also have this ability, but roosters don’t fly very high so the rooster was a test subject. The sheep, they believed, was closer to a human in its physiology. With the passenger list set, plans were made for the launch. 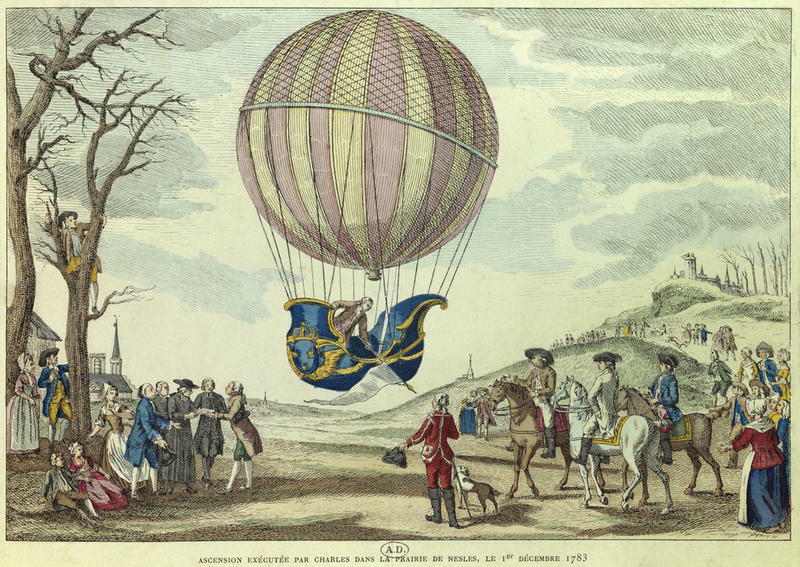 On September 19, 1783, the Montgolfier’s balloon with its trio of passengers lifted off. To the delight of King Louis XVI, Marie Antoinette, and the crowd of almost 130,000 spectators, the gilded balloon lifted into the air and stayed aloft for more than eight minutes. The balloon traveled a distance of about two miles and safely returned to earth with the rooster, the duck, and the sheep…all alive and well, though undoubtedly traumatized by the experience. The next logical step was to send a human up in a hot air balloon. For this, the Montgolfiers recruited Jean-Francois Pilatre de Rozier, a friend of theirs who was a chemistry and physics teacher. 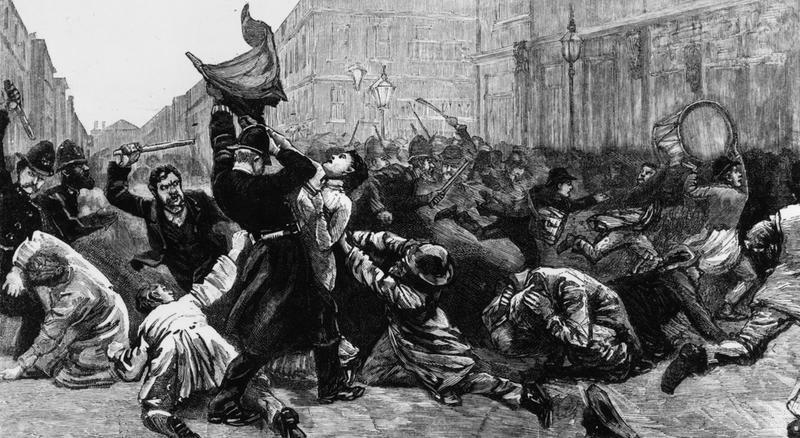 On October 15, 1873, they attached a long tether to a hot air balloon and launched their friend into the air. Pilatre de Rozier stayed in the air for about four minutes before he was pulled safely back to the ground. Thrilled by the experience, Pilatre de Rozier offered to fly untethered.